The Peoples Democratic Party (PDP) has condemned the face-off that ensued between the convoys of Rivers State governor, Nyesom Wike and Minister of Transport, Rotimi Amaechi in Port Harcourt on Saturday. The party, while describing the encounter as an alleged assassination attempt against Wike, called on the president to order the immediate transfer of the commander of Special Anti Robbery Squad (SARS), in Rivers State, Akin Fakorede. The party in a statement alleged that Amaechi has been attempting to take the life of the governor with the help of Fakorede. 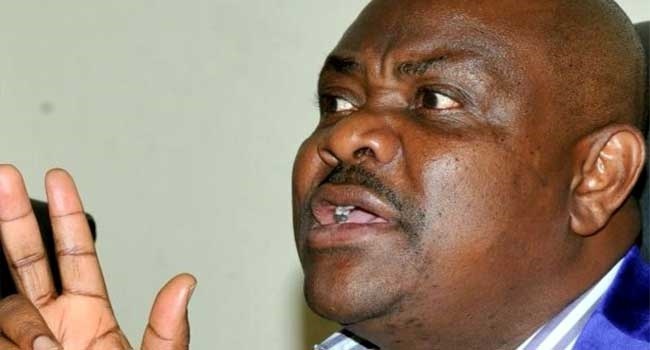 According to PDP, the convoy of Governor Wike was ambushed by a contingent of security apparatus led by Fakorede and allegedly supervised by Amaechi’s ADC, Debewari. The statement said: “These constant harassments and attempt on the Life of Governor Wike are an open invitation to anarchy and another plan of the APC to ignite crisis against Rivers State. “PDP is once again constrained to draw the attention of President Buhari to another assassination attempt by his Minister on Governor Wike on Saturday, November 11, 2017 in Port Harcourt”. “We condemn this attack in very strong terms and call on President Buhari to order the immediate transfer of Fakorede of SARS out of Rivers State. “Any delay in effecting this change will be taken that President Buhari is fully in charge of these ugly activities in the State. “We are also calling on the International Community to take note of these chain of activity that is carefully planned by the (APC) and being executed by the Minister of Transport. "If anything happens to Governor Wike or his immediate family and aides, the APC and Amaechi should be held responsible. “A stitch in time saves nine,” PDP warned.